My Quinn is 7 years old and just loves imaginative play. He has all these little figures that he could just sit for with hours playing with. The only thing that makes it better is when he has props. 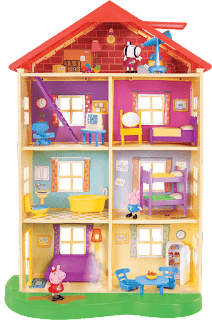 The Peppa Pig Lights N' Sounds Family Home delivers just that. Experience all the sights, sounds, and phrases of Peppa Pig's family home and enjoy a day in the life of everyone's favorite pig! 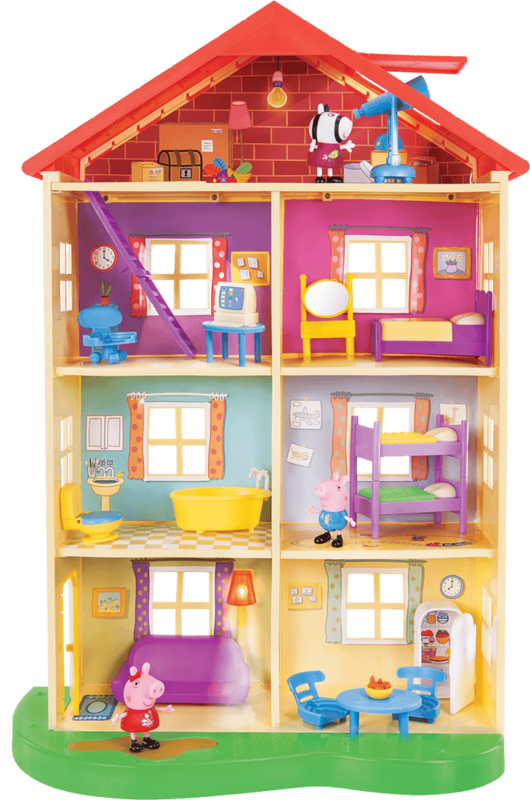 This 22" Lights ‘n' Sounds Family Home features 7 rooms over 4 floors and includes 13 never-seen-before accessories. When you enter the house at the doormat, the living room light switches on to greet you! Jump in the muddy puddle in the front yard to hear the Muddy Puddles song and press the doormat for more sounds and phrases from the show. And don't forget to look out for visitors from the telescope in the attic!